Researchers combine two cutting-edge technologies. Researchers at the Weizmann Institute of Science have developed a new technique to help them understand the body’s complex and often chaotic processes, and it actually combines two technologies that are cutting-edge on their own: CRISPR and single-cell RNA sequencing. CRISPR has certainly become quite the household name in gene editing. Its successes are well documented and now include actual human application. Single-cell RNA sequencing is a new method that’s been impacting biotechnology research. That technique involved the sequencing of RNA messenger molecules in individual cells, giving scientists a look at each cell’s molecular makeup. “But CRISPR, on its own, is a blunt research tool, since we often have trouble observing or understanding the outcome of this genomic editing,” lead researcher Ido Amit of the Weizmann Institute of Science said in a press release. Meanwhile, single-cell RNA sequencing is a “molecular microscope,” according to Amit, that allows for the sequencing of thousands of cells of particular tissues, revealing variations in identities and functions. Combining these tools gives researchers the ability to alter multiple target genes at once and identify the resulting changes within the cell. It required the development of new molecular techniques to allow for multiple targeting and new computational methods to analyze the different genotypes and phenotypes of groups of cells. According to the researchers, a single experiment using this method can yield results that would require thousands of experiments using previous techniques, and these are results that neither method could’ve yielded on its own. They tested the technique on immune cells in mice to examine how those cells were wired as they combatted pathogens and were able to see in high resolution the functions of the genes involved in the various immune cells as they reacted to invading pathogens. With CRISPR as the scissor and single-cell RNA sequencing as the molecular microscope, this combination method opens up a new world in genetic engineering and will likely result in many new applications in medical research. It could possibly be used in the future to examine how cancer cells survive through mutations, which brain cells are involved in the development of disorders like Alzheimer’s, or how immune cells go through their messy decision-making process. 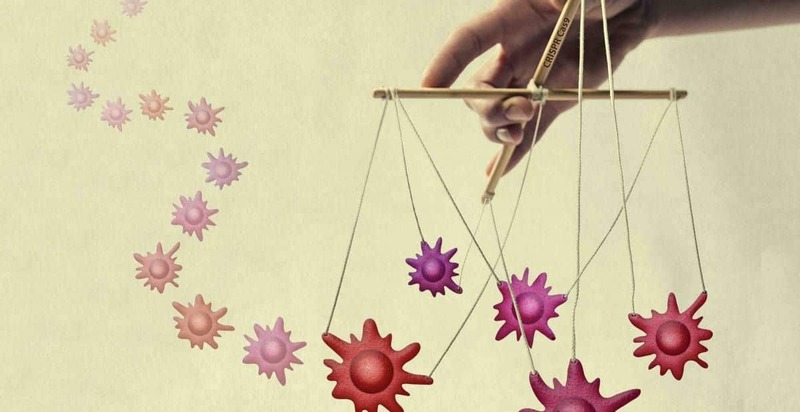 “We are hoping that our approach will be the next leap forward, providing, among other things, the ability to engineer immune cells for immunotherapy,” said Amit.